Every business owner knows that the best advertising is ‘word of mouth’ – Social Media Marketing utilizes existing social websites to promote your business. It’s a simple concept, but not always easy to accomplish. Blue Eye Group has helped local companies implement effective Social Media programs which tie into existing websites where the sales and prospect collection activities actually happen. With the changes in Facebook fan pages to the ‘Timeline’ format, it makes it easier to tell your story on facebook. 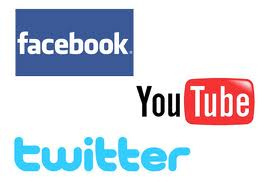 We can create a complete Social Media program for your business implementing Facebook, Youtube, Twitter, and a number of other social networks. For more information on our Social Media Marketing services, please call 262-662-9667 or fill out the form below.